Bundle and Save when you buy direct through Clarix. Support for the new Adobe Presenter 7 content is discontinued. While trying to upload Adobe Presenter 7 or an earlier version content to Adobe Connect, an error message is displayed. The existing Adobe Presenter 7 or an earlier version content in Adobe Connect continues to work in Adobe Connect 9.7.5. New in Adobe Connect 9.7 is a desktop application available for both Microsoft Windows and Apple Macintosh users. Now you can easily join, and manage meetings from your desktop. The Adobe Connect application is a stand-alone application that replaces the current Adobe Connect Add-in. With the new Adobe Connect application, users do not need Adobe Flash Player installed or enabled in browsers to join or conduct meetings. With the Adobe Connect application, users can bookmark frequently visited rooms and view a history of recent meetings, making joining Adobe Connect sessions more seamless than ever. 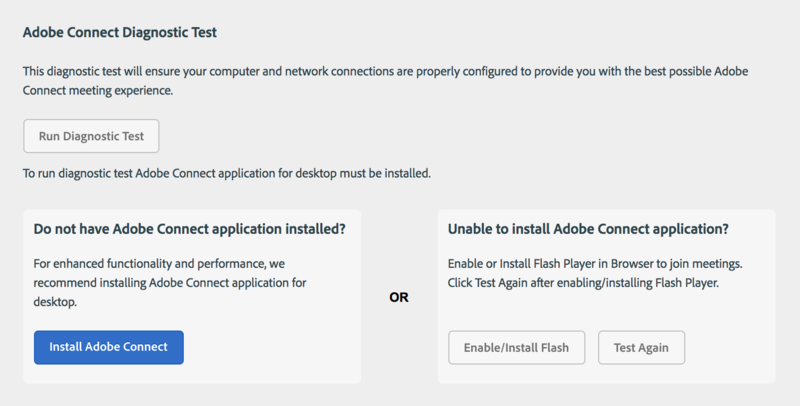 Users can now run pre-meeting diagnostic tests to check if their system meets the requirements necessary to attend an Adobe Connect session without using Flash in their browsers. The test prompts the users without Flash to install the new application in advance. For users using Adobe Connect’s built-in Voice over IP (VoIP) features, the new test page has an option to pre-configure and test microphones and speakers before they join a meeting. The Adobe Connect Central home page has been redesigned using HTML5. Users can seamlessly find and manage meetings, recordings, and training catalogs without the Adobe Flash Player enabled. 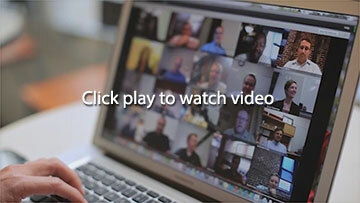 Users can now find recordings created by them, or recordings shared with them, directly from the home page. Adobe Connect 9.7 includes a new MSI installer for the Adobe Connect desktop application. Administrators can manage the enterprise-wide distribution and deployment of the Adobe Connect application using SCCM.